After a thumping victory in the one off T20, now India takes on South Africa in ODI series. Match is to be played at Durban. With World Cup 2011 insight these two teams have got an opportunity to get their hands on the 50 over version of the game. Virender Sehwag, Gautam Gambhir and Praveen Kumar won't be available due to injury. Their exclusion gives players like Murali Vijay, Rohit Sharma and Ishant Sharma a good opportunity to get into the team and showcase some good cricket. South Africa has included Imran Tahir and Robin Peterson into their squad. These two are spinners and hence can give a good company to Johan Botha. Although South Africa can be considered as the favourites in this series, but we can't forget that India is world's second best ODI team after Australia according to ICC rankings. 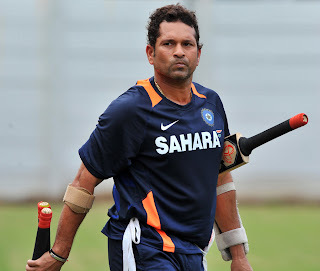 And presence of Sachin Tendulkar will make the team look even stronger. Stay tuned for India Vs South Africa Live Cricket Streaming online.